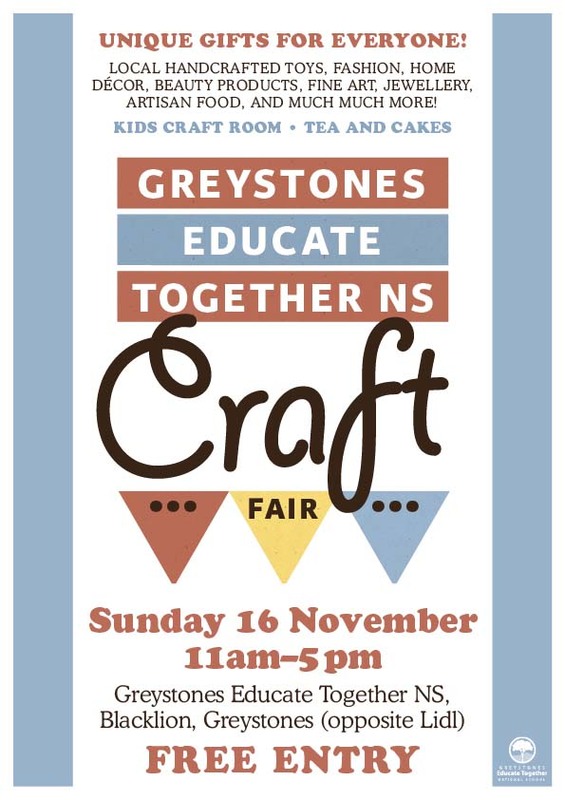 Please join Greystones Educate Together National School on Sunday November 16th, for the 3rd annual Craft Fair. This year brings a more brilliant community event than even we could have imagined. Vendors including local artists, artisans and craft people will showcase quality and carefully selected handmade products. There will be live music, a craft area, face painting, and the return of archery– fun for the entire family! The café will be stocked with lovely cakes, cookies and savouries – the day is sure to be stellar! The organisers have put together an event that will be flush with unique stalls offering a variety of vendors selling handcrafted toys, fine art, fashion, home décor, beauty products, accessories, jewellery, artisan food and many other exciting gift options. But that’s not all! We heard what the 1000’s of people who joined us the last few years wanted and we’ve added some wonderful additions to the day. Do not miss the music of our house band Huegrass and feel free to throw a quid or two to the buskers for GETNS singing through the day. The “Make-and-Do Room” will host face painting and a fabulous all ages craft area. Just for the kids this year we’ve added a pocket-money priced toy & game sale that is sure to please every pint sized patron. The fair, which is located in the GETNS primary school, in Blacklion, Greystones (opposite Lidl) will offer a café serving up tea, coffee and delicious home baked creations, while visitors can take in a view of the sea. Come on down for a browse, a cuppa and choose some gorgeous gifts. There’s something special for everyone, and prices to suit every pocket. See you there!